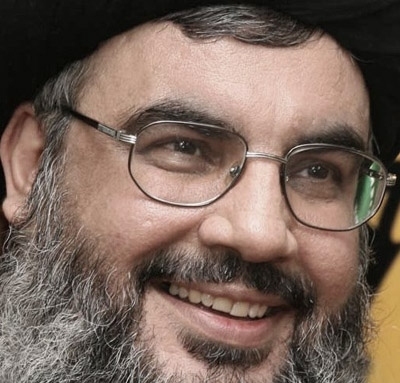 Hezbollah Secretary General Sayyed Hasan Nasrallah reiterated on Wednesday that the Resistance in Lebanon and Palestine defeated the US-Israeli agenda of creating sedition and division in the region. His eminence renewed support for the Palestinian people and vowed that the blood of the martyrs who fell during the Nakba Day will not go to waste. While stressing that all Lebanese people want the establishment of a strong state and declared commitment to the state’s institutions and the Lebanese army in particular, Hezbollah Secretary General said efforts to form the new government are underway and stressed that giving up was not a possibility, despite all challenges, while declaring full support for the PM-Designate in his mission. His eminence also proposed to avoid talk of committing to the Taef agreement or call for modifying it, but work at the same time on developing the Lebanese system away from sectarianism. Sayyed Nasrallah was speaking through a large TV screen during a ceremony organized by the Iranian embassy in Lebanon to commemorate the departure of the leader of the Islamic Revolution in Iran Imam Ayatollah Ruhollah Khomeini, at the UNESCO Palace in Beirut. Sayyed Nasrallah began his speech by stating the accomplishments made by Imam Khomeini and hailing the Islamic Revolution’s victory and the changes it made. 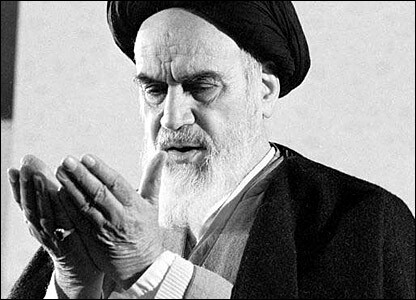 His eminence said that Imam Khomeini has achieved a complete victory during the revolution, overthrowing the dictatorial Shah. 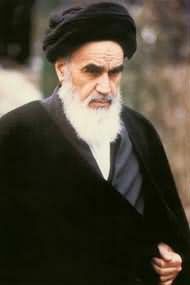 According to Sayyed Nasrallah, Imam Khomeini’s most important achievement was building the state and replacing the Shah’s regime. “The victory was complete and building the state was not only the most important achievement but also the biggest challenge,” Sayyed Nasrallah said, whole noting that the Iranian nation witnessed at the time the challenge of building a new regime based on the people’s opinions, civilization and culture. 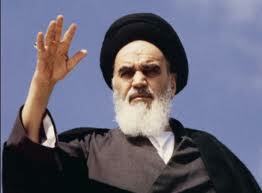 After highlighting that Imam Khomeini did not impose his own vision of the regime and its hierarchy on the Iranian nation, Sayyed Nasrallah pointed out that there were a state and institutions in Iran. His eminence explained the role of the Supreme Leader in Iran and stressed that he’s the one supervising all authorities. Sayyed Nasrallah stressed that Iran is called the Islamic Republic of Iran and not Velayat-e Faqih. “There have been several efforts in the last few years to represent it as an oppressive state and these are all lies,” his eminence said. Turning to the Lebanese issues, Hezbollah Secretary General expressed belief all political parties in Lebanon want the establishment of one and strong state. “We want the rise of the state in Lebanon. In principle, all Lebanese want the state. We have witnessed very difficult experiences such as relying on militias, local administrations, and we have seen the results of relying on militias,” Sayyed Nasrallah said. His eminence said that relying on militias in Lebanon would fail. “We believe that the condition for unity, security and development in Lebanon is the establishment of a unified and strong state,” Sayyed Nasrallah added. He went on to say that there were gaps in the constitution that should be resolved. 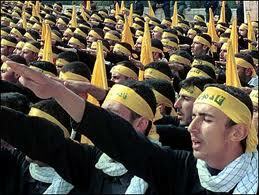 Sayyed Nasrallah then called to resolve the crisis under the headline of developing the system. “Let us acknowledge the flaws in the constitution, avoid talk of committing to the Taef or modifying it, and work on developing the Lebanese system away from sectarianism,” Sayyed Nasrallah said. His eminence said the government or the national dialogue table can appoint individuals or a committee to propose a mechanism to develop the system in a manner that can accommodate the changes in Lebanon and appease all sides. “We really need to develop the system in Lebanon,” his eminence emphasized. Sayyed Nasrallah said that the political leaderships must perceive that Lebanon is not an isolated island in the region, given that what’s happening in the region is very dangerous, as Sudan was divided and Yemen and Libya are under the threat of being divided. His eminence warned that Syria was as well prepared for division if things develop negatively there. However, Sayyed Nasrallah expressed belief that the Syrian leadership and people will overcome the crisis, despite all challenges. 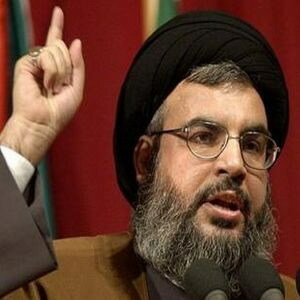 Sayyed Nasrallah stressed the necessity to maintain institutions. “The duty of duties is to maintain the state, its unity, and institutions, especially the army, regardless of the current status-quo,” Sayyed Nasrallah highlighted. Hezbollah Secretary General said that Naksa of 1967 established the current tragic Palestinian reality, and the establishment of the illegal Zionist entity. “Through this Naksa, we lost all Palestine as well as many Arab lands in Syria, Egypt, Jordan and Lebanon,” Sayyed Nasrallah noted, while recalling another achievement made by Imam Khomeini, which is turning Iran to the Palestinian axis and renewing the balance lost by the Arabs following the famous Camp David Accord. Sayyed Nasrallah urged all Arabs to stand by the Palestinian people, regardless of the religious affiliations. “We should help its people return to their homeland,” his eminence stressed, while declaring that Hezbollah would remain committed to the Palestinian cause, which is the central Arab cause. “We need to return to Imam Khomeini’s teachings and renew our vow to continue in his footsteps and we can only be victorious,” Hezbollah Secretary General concluded.